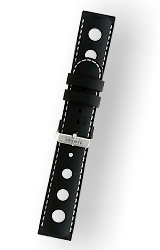 22 millimeters Premium Silicone Strap with stitching. This strap is extrmely high quality, flexible and comfortable. It will fit ANY watch with a 22 millimeter lug width.